The sheer number of companies producing action figures can be astonishing. One might think collectors aren’t often concerned with who makes it as much as who it represents. But when a company achieves a legendary level of detail and thoughtful design, a name like Mezco Toyz can be a huge selling point. 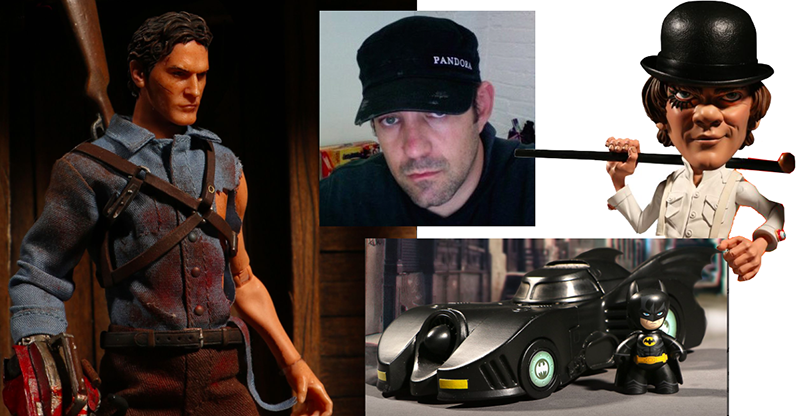 For their amazing articulation and well-thought details, Mez Markowitz of Mezco Toyz is a 2017 inductee of the Pop Culture Hall of Fame. Mezco made a splash in the early 2000s securing licenses for the “Hellboy” movie and “Family Guy” TV show. “Revolution Studios pitched “Hellboy” to me when it was available,” Mez said. “Trust me, it wasn’t like it was a hard sell on their end… I was real eager to get the license. Mezco’s offerings skew more adult than most toy and figure companies, but not always. They create figures for popluar DC and Marvel titles such as Iron Man or Batman, and the Living Dead Dolls are creepy and gothic, but not terrifying. Poseability is a priority for Mezco. “I try to articulate all our product where and when it makes sense,” said Mez. “I assume the core consumer is a collector. I want the consumer to be able to interact with the figure. Some companies do this by adding action features, some by capturing an iconic moment or pose.